Rocky is our 5 yr old Jack Russell. He loves to cuddle and sleep in our bed. He likes to be under the covers and growls at us a bit when we try to get him up in the morning. He is the only dog we've ever had that actually watches television and loves to watch Animal Planet! This was an adorable picture! 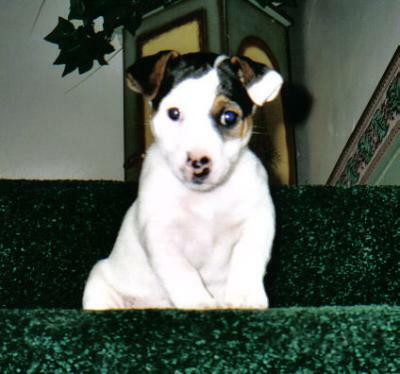 We also have a Jack Russell who is 5 and is exactly the same way. His name is Jack.